Fallen auto titan Carlos Ghosn said his arrest for alleged financial crimes was the result of a “plot” against him by Nissan Motor Co. executives trying to prevent the Japanese carmaker’s deeper integration with Renault SA. 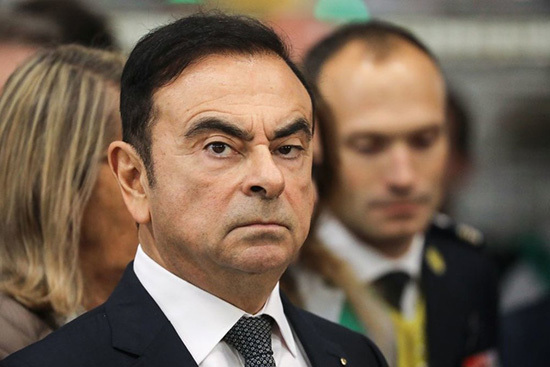 There was a plan to combine Nissan with Renault and third partner Mitsubishi Motors Corp., Ghosn told Japan’s Nikkei newspaper in his first published interview since being arrested in November 2018. The proposed merger was discussed with Nissan Chief Executive Officer Hiroto Saikawa in September, he said. Ghosn has been in custody since his Nov. 19 arrest in Tokyo. He was indicted for allegedly understating his income at Nissan by tens of millions of dollars and temporarily transferring personal trading losses to the carmaker. The allegations against him were the result of “plot and treason,” Ghosn told Nikkei. He repeated his denials of any wrongdoing and said people “distorted reality” for the purpose of “getting rid” of him. Nikkei said it interviewed Ghosn for about 20 minutes at the jail. In a response issued minutes after the interview’s publication, a Nissan spokesman said Saikawa previously refuted the notion of a coup. “Nissan’s investigation uncovered substantial and convincing evidence of misconduct,” the company said in a statement. Japan’s second-biggest automaker is grappling with its own legal fallout from the scandal. It was indicted in Japan for misreporting Ghosn’s pay, and it also faces an investigation by the U.S. Securities and Exchange Commission. The U.S. financial regulator is examining whether Nissan’s executive-pay disclosures were accurate and whether the carmaker had adequate controls to prevent improper payments, several people familiar with the matter said. Nissan said it’s cooperating fully with the inquiry. And Saikawa, a former protege of Ghosn who led the campaign against his ex-boss, said he intends to step down in coming months after reforming the poor governance he says weakened the Japanese carmaker. Ghosn pushed for closer integration between Nissan and Renault before his arrest, including a possible merger that Bloomberg reported last year, but Nissan resisted a combination unless it would gain clout in more areas. While both companies repeatedly say they are committed to the partnership, Nissan has long been unhappy about what it considers to be an outsized French role in the alliance. Renault owns about 43 percent of Nissan with voting rights, while Nissan has a 15 percent non-voting stake in Renault. The French government is the most powerful shareholder in Renault. Renault-Nissan alliance executives will meet this week in Amsterdam, where the company that manages the carmakers’ partnership is based, people familiar with the matter said. The automakers hired the French auditor Mazars to investigate possible wrongdoing within their alliance, people with knowledge of the matter said this week. Ghosn stepped down as chairman and CEO of Renault, France’s largest carmaker, last week after Nissan stripped him of his role as chairman. While Renault named Michelin CEO Jean-Dominique Senard as its chairman last week, Nissan has yet to name a replacement for Ghosn. Japanese courts repeatedly denied Ghosn’s requests for bail after prosecutors argued he’s a flight risk, and his lawyers say he could stay in custody until a trial that may be six months away. In the interview, Ghosn said he isn’t a flight risk, and he intends to defend himself against the charges. Adding to the company’s challenges, Nissan reported its first full-year slump in auto sales in almost a decade. Global deliveries fell 2.8 percent last year to 5.7 million vehicles, the Yokohama, Japan-based carmaker said Wednesday. Nissan is due to announce earnings for the quarter ended December on Feb. 12.